Click here for more pictures from the entire event! Deanne’s Mom and Dad had her into sports at a very young age; swimming, ringette, and hiking nature trails took up much of her time. When her family moved to Yellowknife there was no ringette so it was suggested that she try hockey. She became a “Talbot Leaf” and won the cup that year, so Deanne decided to stay in hockey and played on various male-dominated minor hockey league teams. But then a wonderful thing happened, an girls’ hockey team was born: The Female Wolfpack! This provided Deanne with more competitive hockey and opportunities to play other teams in the south. She also had the opportunity to play for Team North at NAHC in Mississauga and Team NWT at the Canada Winter Games in Prince George. Currently, Deanne plays prep hockey for the Banff Hockey Academy in the Canadian Sports School Hockey League. Although focusing on hockey, Deanne still loves to take part in all the school sports: playing badminton, cross-country, soccer, and volleyball. She is always competitive in any sport she takes on, even being awarded Athlete of the Year in 2013/14! Deanne’s Dad introduced her to the sport of golf. She enjoyed the time spent with her Dad and began to take an interest in golf. In 2014, she was fortunate to be selected for the North American Indigenous Games (NAIG) in Regina and managed 6th place that year. Deanne persevered at the Western Canada Games, learning much about her game and the mental stamina required. She took that learning experience with her to the 2017 Canada Summer Games and 2017 NAIG where she is very proud to win gold for her territory! This summer ended well for Deanne, she is still the reigning female youth NWT golf champion, as well as the women’s NWT golf champion. Winning the women’s champion gave her a parking spot. Now if only she had a car... at least the parking space is big enough for her bike. Brandon was born and raised in Ft. Smith, NT. He grew up playing many different sports, but realized he had a passion for volleyball. Fortunately, Brandon had many opportunities throughout High School: participating in multiple Arctic Winter Games, Western Canada Summer Games, and volleyball camps. His hard work, dedication, and perseverance paid off, earning him several volleyball Scholarships after Grade 12. Brandon went on to play volleyball at Grant McEwan University, NAIG, and Concordia University. Now as a coach, he strives to train his athletes to be successful so they may also enjoy the amazing experience Brandon had competing at high levels. Brandon has shown great initiative in his coaching aspirations having has been involved in coaching at all levels of volleyball: starting with high school and continuing within the Alberta Club systems, national level and finally an assistant coach at the College level. He also started the Thunder Volleyball Club in 2015; a club which has evolved into one of the top ten programs in Alberta. Brandon continues to bring his valuable coaching knowledge back to the NWT; Coaching Team NWT volleyball programs in 2008, 2014 and 2017. Brandon hopes to give the North the opportunity to expand their volleyball development. His goal is to work with current coaches in the North to produce high caliber athletes who become successful in the sport of volleyball (and academically) so they can experience the opportunities in the South and return to the North as mentors for the upcoming generations of athletes. Eugene Roach has been a builder, supporter and champion of youth in the Ecole St. Joseph’s School family, the community of Yellowknife and the Northwest Territories for many years. Eugene’s teaching position has him teaching the physical education program and, as an exemplary model teacher, he takes what he does during the day and extends its importance into extra-curricular activities to support the health and well-being of his students and the school community. Teachers continually strive to ensure that all children find successes and build confidence from as many different learning experiences as possible. Eugene knows that, for some students, this can begin within the area of physical education. He has been an ‘Active After School’ program leader for many years. This program provides after school activities for interested students to enhance their health and well-being and fosters relationship building within sport. Beyond his teaching job, Eugene has provided 13 years of consistent support in the coaching area for students in volleyball, basketball, soccer, tennis, badminton, track & field, and archery - which means countless volunteer hours after school. This past summer, Eugene also volunteered his time to coach Team NWT’s archery team for the 2017 North American Indigenous Games - with one of the athlete’s taking home a bronze medal! Eugene’s service leads to better and richer opportunities for children in sport and recreation. His dedication as a tournament volunteer has supported the structure and ability for many students from other schools in Yellowknife and other NWT communities to participate in an active lifestyle. Overall, Eugene is quite the difference-maker for NWT students and their families. Cpl. 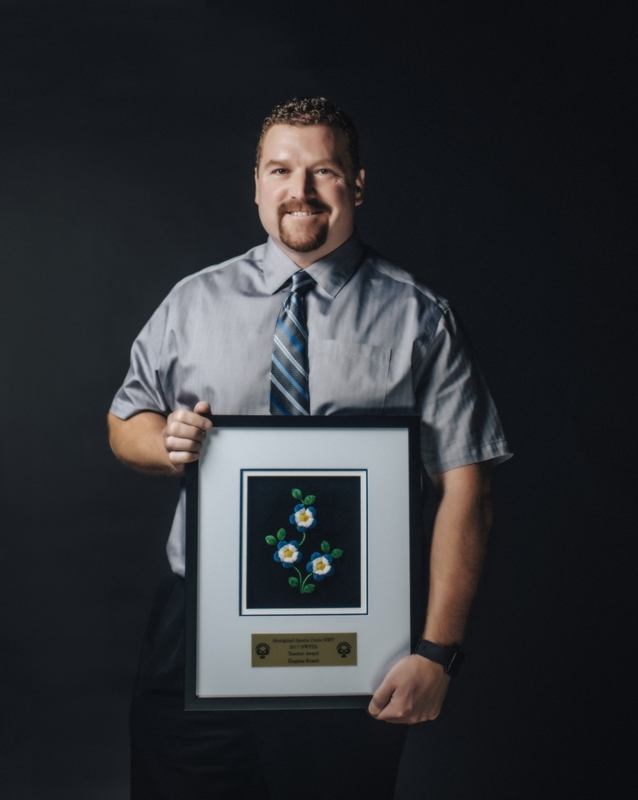 Scott Sieffert arrived in Yellowknife in July 2014 as he accepted the position as the NCO of Aboriginal Policing for G Division. Cpl. Sieffert signed up to be a coach with Aurora Minor Soccer League and, that fall, coached a team in the under 6 division. He also worked with SADD to design an RCMP Christmas float for the Yellowknife Santa Parade. In 2015, Cpl. Sieffert helped coordinate volunteers for Aboriginal day for RCMP and again signed up with Aurora Minor Soccer League, coaching 2 different teams. He also helped the Tuktoyaktuk RCMP with Coordinating “Toys for the North”, which involves providing kids in Tuktoyaktuk with toys during Christmas - much of the toys involve sporting equipment. Cpl. Sieffert arranged for the gifts to be wrapped and delivered to Air Tindi who transported the gifts to Tuktoyaktuk. In 2016, as part of Aboriginal Policing, Cpl. Sieffert and Cst. 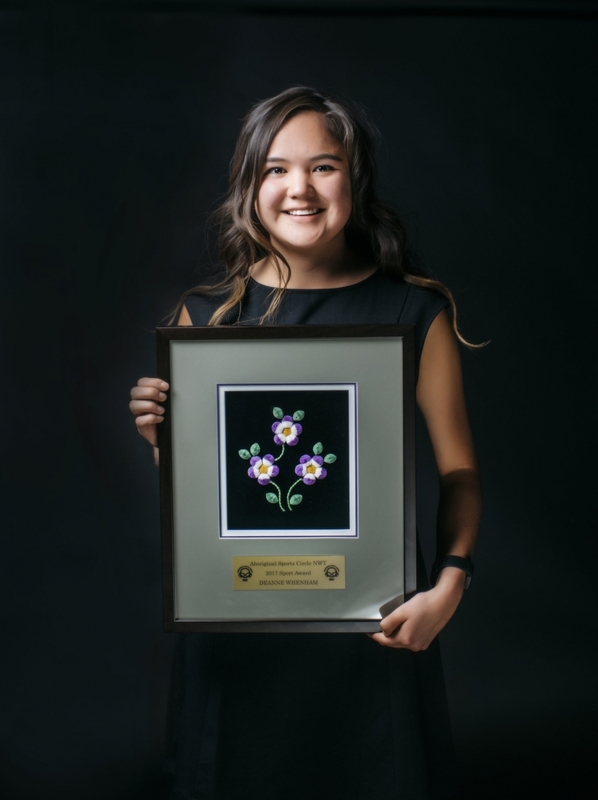 April Bell ran an artwork contest for the youth in the Northwest Territories it was named “Create the Crest”. Cpl. Sieffert noted that the current G Division Aboriginal Ensign needed to be changed as it wasn’t a true representation of the three Aboriginal Groups (Dene, Metis, Inuvialuit) in the NWT. The contest was sent out to all of students in the NWT. Cpl. Sieffert travelled to Tuktoyaktuk to do a presentation to the winner, a Grade 8 student; who was also presented with an award of recognition from the Commanding Officer of G Division. Cpl. Sieffert also became involved with YK Softball as a coach with the 8-10 yrs old division, and again signed up to coach a team in the 9-10 yrs old division with Aurora Minor Soccer League. Cpl. Sieffert believes in community engagement and has travelled to the majority of the communities in the NWT with the RCMP. 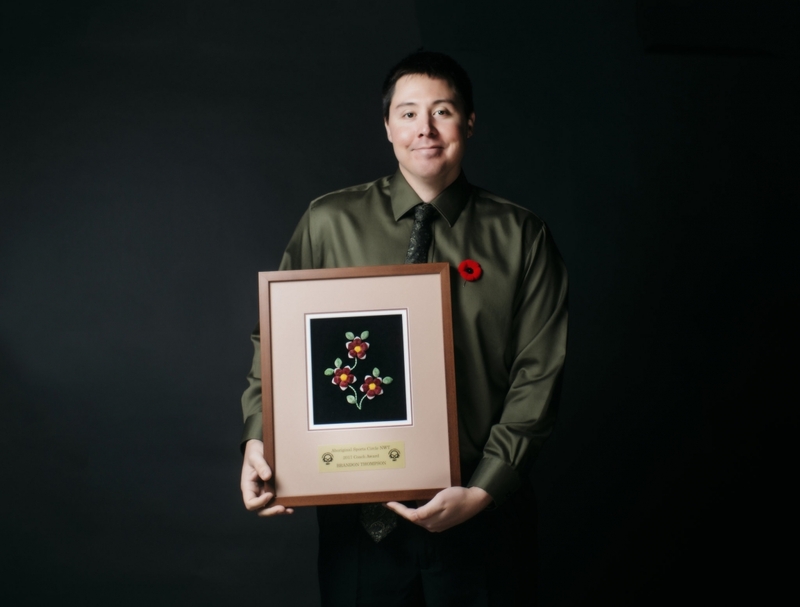 As a BC Metis, he grew up involved with Aboriginal Sports programs in BC. He recognizes the importance sports provides to youth; it helps teach healthy, active lifestyle and helps to develop enhanced self-esteem and life skills which translate into positive life choices. Bess Ann McKay was not always a community leader. As a young girl, in Fort Resolution, she was shy but always watching what was going on around her. When she finished school in Fort Smith/Yellowknife, she returned to Fort Resolution and started to become involved by volunteering for various community events. Bess Ann excelled at any job thrown at her, because of this, she got pushed into leadership roles to build her community - Something she continues to this day. Bess Ann loves Fort Resolution and has worked to build that community in many ways. She was first ever elected Mayor for the Hamlet Council. She is the Vice-Chair of the South Slave Divisional Education Council, and has also held other positions on this Council. She organizes the annual talent show, held in conjunction with the annual spring Carnival, and fundraises for the annual sled dog race in Fort Resolution. You will see her bright and energetic smile at every community function in Fort Resolution. Bess Ann is not afraid of anyone and will work tirelessly to get things done to make her community a better place to live. Her energy is not confined to Fort Resolution. As President of the NWT Dogsledding Association, she has gone to most NWT communities to promote dog mushing and volunteer as a timekeeper. She works particularly hard to bring youth into this traditional sport, especially during Arctic Winter Game years. She facilitates coaching, player and official development at sled dog races, as well as dogsledding symposiums to help dog mushers share their knowledge to improve the sport. You can also see Bess-Ann volunteering at the Kamba Carnival in Hay River and Wood Buffalo Frolics in Fort Smith. For her many roles as a community champion, Bess Ann was a recipient of the Queens Diamond Jubilee Medal and has been nominated for similar awards that recognize outstanding volunteer community contributions. Having someone like Bess Ann in every community would make the world a better place. Despite her many successes, Bess Ann remains a humble person and a great person to work with on a team. Thank you for all you have done for Deninu K’ue. 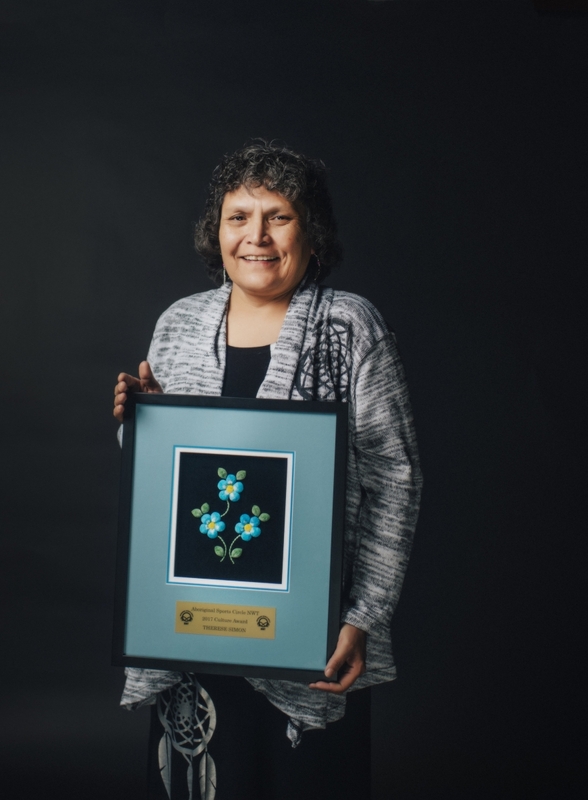 Therese Dollie Simon is a proud Dene woman from Fort Resolution. Dollie, a widow, has 3 children: Aleda, Dexter and Destiny and five grandchildren – with another on the way in May. 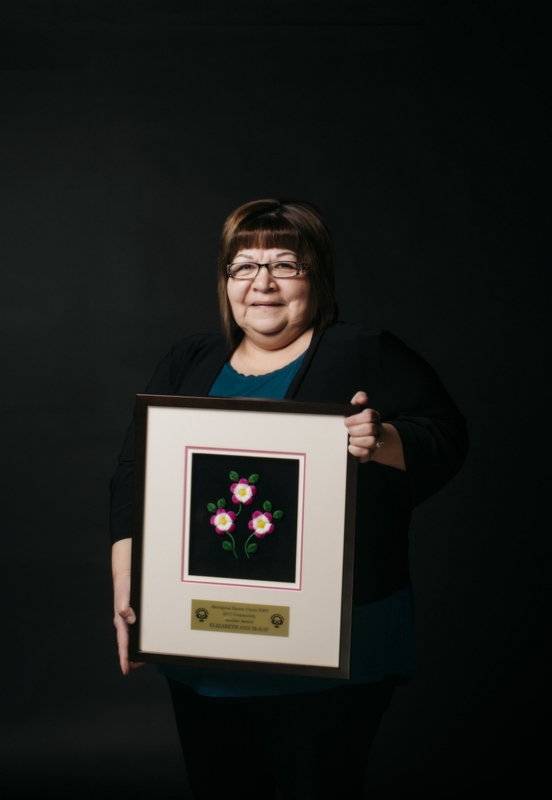 Dollie works as a Coordinator with the Deninu Kue First Nation’s Community Wellness Program. She organizes the annual Culture Week at Mission Island, where local instructors teach residents and visitors about Dene heritage and culture as participants rotate through different venues. Dollie also organizes other events in the community such as Take Back the Night, National Addictions Awareness Week, Family Violence Awareness Week, and the annual Healthy Living Fair. Dollie is an active member with the Canadian Ranger Patrol Group, as a Master Corporal. 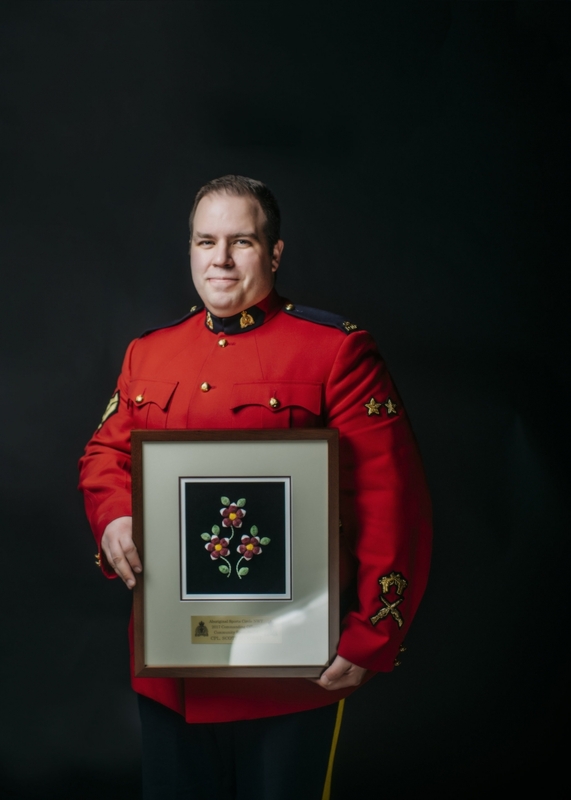 Corporal Simon was awarded the Queen’s Diamond Jubilee Medal, which recognizes the recipients outstanding service to their communities and territory. She is also the Leader of the Fort Resolution Junior Canadian Ranger (JCR) Program. Recently she attended National Enhanced Training with the JCRs in Yellowknife, where they camped for 10 days while canoeing on various lakes around Yellowknife. Dollie, raised by her grandparents: Victor and Georgina Lafferty, learned from them how to be a great care-giver and provider. You will always see her giving tobacco for safe travels, picking teas, berries, teaching Dene crafts, harvesting wild game, and going out on the land every chance she gets - She calls her cabin her home away from home. Dollie is a great role model for keeping Dene tradition and culture alive.